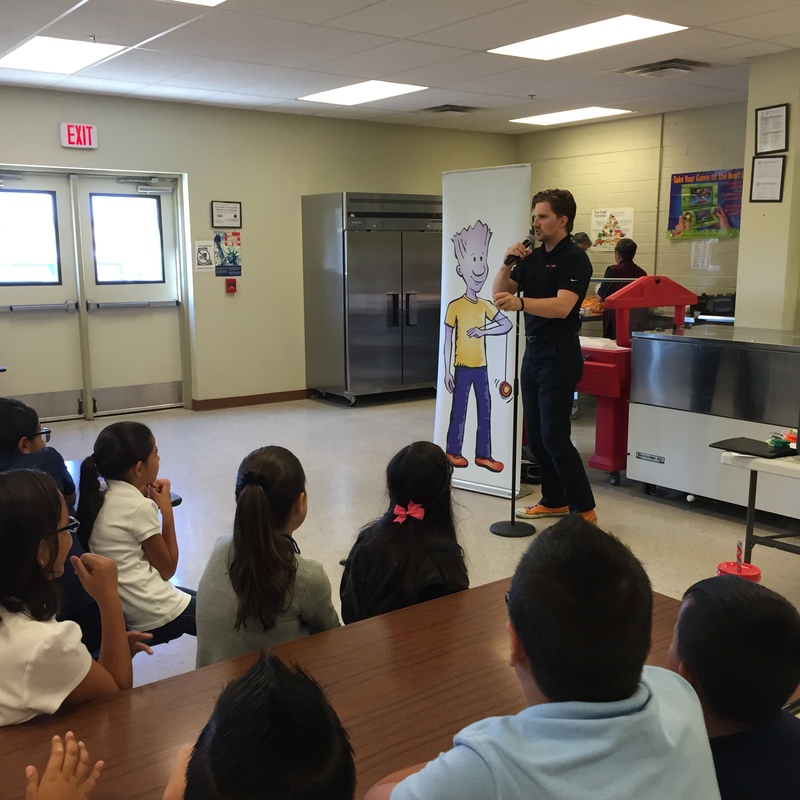 NED’s interactive program teaches positive life lessons with a fun twist. The NED Show came to perform for students at CAS Middle School in Douglas on August 18th. NED is a character education program that promotes positive attitudes and encourages students to do their best every day. Named after the show’s main character, NED is an acronym that stands for Never give up, Encourage others, and Do your best. This program has been performed all over the United States, including the White House. They have also toured internationally in the United Kingdom, Australia, and New Zealand. Both the students and their teachers enjoyed plenty of laughs, and are looking forward to applying what they learned to prevent bullying, build relationships, and continue to keep the kindness going.